I’m a single member LLC with a question about owner draws. What is the difference between owner’s draws and guaranteed payments? I take a draw each month based on the net profit in the LLC for the month so the amount varies month-to-month. How is this treated in the LLC and are the owner’s draws considered income to me? If so, do I have to pay income taxes on the owner’s draws? If they don’t show as part of my income and are not taxable, can I show them as income to a mortgage co. for the purpose of refinancing? A ‘draw’ is a withdrawal of the LLC’s earnings. A member usually won’t take a draw unless there are profits. A ‘guaranteed payment’ is money that a member takes out of the business whether there is a profit or not. For income tax purposes you are charged with recognition of your LLC’s profits regardless of your draws. Tax recognition and flow of money are two separate things in an LLC. If the LLC made a $20,000 profit, then you will report it through your Schedule C if the LLC is taxed as a sole proprietorship. You DO NOT report that same $20,000 a second time due to the fact that you withdrew it during the year as the owner’s draw. In terms of showing your income to a bank, you can show them copies of your tax return which will have your Schedule C (or if you’re a multi-member LLC, copies of the 1065 and K-1). How to pay owner of the LLC in single member LLC? I am the owner of Single Member LLC. The LLC is basically a consulting firm. I have placed my self to the client side for project work through my own LLC. I have confusion regarding my salary process. 1) How can I pay my self? 2) Do I need to run payroll for myself with the help of payroll company? or just write a check from my business checking account to my personal checking account and then use the amount for my self from there? 3) Which is better and safe way to use money for myself? 4) which way to get paid (Payroll or Direct Check from business to personal) will be give me more tax benefits? 5) if I would like to write checks from business checking to personal checking for my self, then how the tax withholding will work out? how do I need to pay taxes? Your responses are highly appreciated. Assuming you are the sole member of the LLC, and the LLC is taxed as a sole proprietorship, partnership or disregarded entity (as opposed to a corporation), you do not pay yourself using a W-2 payroll system. Instead, you can take a draw of the LLC’s profits. The LLC will write a check from the LLC’s bank account, payable to you personally, which you deposit in your personal bank account. As far as taxes, there will be no FICA or withholding taxes on a draw. Instead, you, personally, will be required to calculate quarterly estimated federal and state taxes and pay them on your own. FICA and Medicare taxes (aka “payroll” taxes) will be paid when you file your annual 1040 tax return. They are what is known as “self employment taxes”. As a self-employed person, you should consider investing in quality personal accounting and tax software such as Quicken and TurboTax, which will help with the quarterly estimated taxes and annual self-employment taxes. As long as there’s a trail–electronic or check–I don’t see why paying yourself electronically is any worse than paying via check. Did your accountant explain why? Comments for How to pay owner of the LLC in single member LLC? Thank you so much for your response. I appreciate it. 1) if I write check to my personal checking account from Limited Liability Companies Business Checking Account, is there any limit on amount of money or frequency of withdraw money in certain time period? For example, if I earn $10,000 every month, can I write check to my personal checking as per my need ($1000 sometimes or $50,000 sometimes) or I must need to maintain certain limits on amount on every checks? or number of checks per month? Do I must need to maintain certain consistency on flow of money from my business checking to personal checking…? Or it’s on my own….? Instead of saving the money in my personal checking or saving if I kept the amount in business checking or saving only and write checks to my personal checking as per my need, then what difference it makes? At the same time the payroll (Salary) of any consultant working from my company will be count as expenses of company, how it will consider in my case as I’m the owner plus consultant and also not running payroll for my own and just writing checks? I will also post this question on the site. Thanks in advance for your help. Your company earns revenue by selling products or services. It then has certain expenses–rent, payroll (for all employees EXCEPT YOU–you are a member, not an employee), utilities, office supplies, advertising and so on. You, as member/owner can withdraw the profit in any amount, in any frequency, so long as you clearly indicate that these are draws. Draws are not “expense” and you do not deduct draws from your LLC’s revenue. Draws are simply distributions of profits from the LLC to its owners–the members. The LLC will calculate its profit or loss for tax purposes via form 1065 if it is a multimember LLC taxed as a partnership; or a Schedule C if its a single member LLC taxed as a disregarded entity. For a multimember LLC, each of the LLC members will be issued a K-1 reflecting that member’s proportionate share of profit or loss to be recorded as taxable income on their personal tax returns (in the case of a loss, it becomes a deduction on their personal return). For a single member LLC, the LLC’s profit/loss will be calculated on Schedule C of the sole member’s 1040 tax return, and the profit/loss either adding to or subtracting from the individual’s taxable income. If you’re wondering where payroll taxes (also known as FICA and Medicare tax) come in–you didn’t think you could avoid payroll taxes that easily, did you–they are calculated on Schedule SE. They are no longer referred to as “payroll taxes” in this context, but instead as “Self Employment” tax. When paying myself in my small business LLC, can i simply make online transfers to my personal checking account? If so, how often will you recommend i do this throughout the course of the year. Also, what if I want to put money into the checking account of the LLC for whatever reason…Anything I need to know in terms of how the IRS see’s this? My concern is the IRS and making sure i don’t get into any trouble on both questions. Your site has been a blessing…. A blessing. Thank you very much for the compliment. I get a TON of questions about how money should flow between the owner of an LLC and the LLC itself. Let’s start with the overall picture, from 30,000 feet up. A limited liability company and its owner are two separate entities. Just like you and your neighbor are two separate entities. Just like you and you employer are two separate entities. Veil piercing, and the IRS “problems”, you alluded to, occur when you, as owner of an LLC, ignore this foundational truth and treat your LLC’s bank account like your own. Now, it’s true that all the profit of the LLC belongs to its members (and if you’re the sole member of a single member limited liability company, then all the profits belong to you). And yet, there are still formalities that must be followed to respect the separate existence of you and the company. Whenever you put money in the limited liability company, you must explain what that money “is”. Is it a capital contribution? If it’s a loan, you will need a simple promissory note, executed by the limited liability company, promising to repay the loan. Yes, I know that YOU are the only member of the llc, so why sign a note to yourself? Because your LLC is not the same as you, even though you control it. This is a strange concept, I understand, but just think of your LLC the way you think of your employer. Would you write a check to your employer, to be repaid at a later date by them, without some written document? Of course not. Same with your limited liability company. As a member of a limited liability company, you are entitled to withdraw your profits at any time, in any amount, in any number of transactions. And you should, since you’ll be paying taxes on your LLC’s profits whether you take a distribution of profits or not. Furthermore, understand that you must pay quarterly estimated taxes. This is not unique to being a member of an LLC–every taxpayer must make quarterly estimated taxes. As an employee, your employer withholds quarterly estimated taxes for you from each paycheck. As a business owner–whether LLC, sole proprietor, s or c corporation, or partnership–you must make quarterly estimated payments yourself. See IRS FORM 1040-ES to calculate your estimated tax payments. You might want to take out enough of your profits each month so that it adds up to enough to pay your quarterly estimated taxes, and then withdraw the remainder at the end of the year. This will require careful budgeting, however. The other method is to withdraw your profits in equal monthly installments. If your business is seasonal, you might want to make other arrangements, taking less in the good months and more in the slow ones. For a single-member LLC, do you also need a promissory note to yourself when making a capital contribution from your personal account to the LLC? Or, what is the proper documentation procedure for this? If it is a capital contribution, then you do NOT use a promissory note. Rather, that capital contribution is counted as equity in the company. If a member loans personal money to the LLC expecting to be repaid, then that should be memorialized with a written promissory note. What are the Rules & Regulation for writing Checks to Personal Checking from Business Checking for a Single Member LLC? I have placed my self to the client side for Project work through my own LLC as an employee of LLC. 1) How the Profit will be count for LLC? I am not sure how much amount I should consider as Profit for LLC from now apart from my salary as this is just a Starting period of LLC’s Income? I am not having count of all the expenses of LLC yet. 2) If I write a check to my personal checking account from LLC’s business checking account, is there any rules & regulation, I need to keep in mind or need to take care of? 3) when i write checks to my personal checking accounts, Is there any limits on amount of money or frequency of withdraw money for certain time period? 3.1) for example: If I earn $10,000 every month from client Project, and I might collected $100,000 in business checking account, Can I write a check to my personal checking account as per my need ( sometimes $1000 in one month, and sometimes $50,000 in one month)? 3.2) or I must need to maintain certain limits on amount on every check? 3.3) or number of checks per month? 3.4) Do I must need to maintain certain consistency on flow of money from my business checking to personal checking every month? or its on my own as per my need? 4) Instead of saving money in my personal checking/saving, if I keep all the money in business checking/saving only and withdraw by writing checks to my personal checking as per my need, then what difference it makes in both the scenario? 5) at the same time the Payroll ( Salary) of any consultant who is working on client site as an employee of my LLC, will be count as an expenses of LLC, then how it will consider in my case as I am the owner plus consultant for my LLC and also not running Payroll for me and just writing checks to my personal checking account? Paying LLC owners a bonus with minimal tax impact? Is it possible to avoid additional tax burden by paying the owners of a LLC a incentive pay for staying or making a company profitable? Would this reduce tax burden? Or is it better to use the additional profit and instead of paying a bonus or incentive pay buying a tax deduction (car) for the owners? As far as minimizing tax in the pass-through tax treatment for the LLC, you’re going to want to maximize your business expense deductions. Payments to the active owners of an LLC are not a business deduction–it’s a distribution of profits. Therefore, find a way to make a deductible business expenditure that is also of benefit to the owners. I’m sure you can think of something. For entities taxed like a corporation, salaries paid to employees (including a shareholder), are deductible, but of course, taxable to the employee (along with the corporation’s portion of FICA/Medicare taxes). You mentioned “incentive pay”. In corporations, the IRS has limited the deductibility of salaries above $1 million. The only way to pay an employee (usually a CEO or other C-leve executive) more than $1 million per year and still take a business deduction is to make it “incentive based”. If this is your issue, then you have enough money to afford an attorney and accountant, which I would highly recommend. Hi, thanks so much for your help and information. My question concerns the best way to structure my small business for budgeting to pay employees and myself in a single member LLC in which I am the sole member. My understanding is that, as a single member LLC, the pass-through taxation feature allows me to pay taxes on the profit as part of my personal tax return so I don’t need to file separately for the company. Does it make sense to pay employees (as well as all other company expenses), then pay taxes once on what’s left as income? At that point the net income is essentially my income, and I could essentially take out what I wanted from it, right? Or does it make more sense to pay myself as one of the employees? Pay your employees using a payroll system…meaning, hire ADP, or some other service such as Quickbooks Payroll, to handle withholdings for your employees. NEVER TRY TO DO PAYROLL ON YOUR OWN! Unlike other business debts, as owner of your company, you are personally liable for unpaid payroll taxes and withholdings. The IRS does not need to pierce the corporate veil in order to hold you liable–you simply are liable under federal law. Same goes for state taxes. As an employer you are an unpaid tax collector for the IRS, and if you don’t do your job, you not only fired but fined. I also think these payroll tax debts are not dischargeable in bankruptcy (and bankruptcy has become very unattractive for debtors since the credit card companies got their bill passed into law a couple years ago). Therefore, don’t fool around with payroll taxes–use a service like ADP or Quickbooks Payroll. As the sole member of the LLC, you do not want to put yourself on the payroll. Instead, you take distributions of the LLC’s profits. Your LLC’s profits are calculated as revenues – expenses (rent, utilities, advertising, employee payroll, etc.). You will report your LLC’s profits on Schedule C of your 1040 as a single member LLC (or a C or S corporation if you made that election — fixed per the comment below). Your LLC is taxed net of all expenses, which includes payroll to employees. You can take profit distributions according to any schedule that fits your company’s cash flow. Be sure to distribute enough profits to yourself to pay your estimate quarterly taxes. You can determine your estimated quarterly taxes using Form 1040-ES (think “EStimated”). If you are also holding a “day job” (with a W2 and withholdings) in addition to running your LLC, then you need to factor in the withholdings from your day job. Otherwise, you’ll overpay and get a big refund when you file. You will report your LLC’s profits on Schedule C of your 1040 as a single member LLC, or a Form 1065 + K-1 if you are taxed as a partnership instead of a disregarded entity. A single member LLC can not be taxed as a partnership. It can be taxed as a C or S Corporation by election. Adjusted Gross Income and personal payment. Does paying the business owner get deducted from the gross business earnings? If your LLC is not taxed as a corporation, then payments to the owner are distributions of profits. Therefore, they are not deducted from the business earnings. However, you also don’t report the owner’s draws as income to the owners. Instead, the gross business earnings are passed through to the owners as provided by the LLC’s operating agreement. Don’t double-count your draws and end up paying taxes twice. 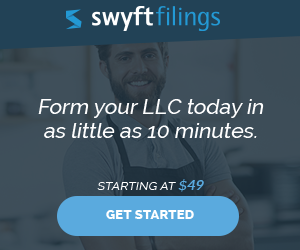 How to classify myself under an llc so that at the end of the year I don’t pay FICA on my dividends? How do I to classify myself under an llc so that at the end of the year I dont pay FICA on my dividends? I had heard there is a way to accomplish this! There are several ways of doing this (but still see a tax adviser anyway). 1. One method is to apply for taxation as an S corporation. When you receive a dividend from an S corporation, you do not pay FICA taxes on the dividends. The downside? The IRS requires that you be placed on the S corporation’s payroll, and receive a “reasonable” salary. And, of course, that reasonable salary is subject to FICA. 2. Self-employment tax is never owed on interest, dividends, capital gains, rental income, royalties, S-corporation profits, limited partnership income, IRA distributions, pension distributions, Social Security, or any excluded income. 3. There are advisors who say that a passive investor in an LLC (a passive member of the LLC) might be considered a “limited partner” (see above), and therefore exempt from SE tax. The IRS has not issued any regulations on this, so there is some risk if you are audited. Also, to be a “limited partner” in your LLC, you can’t have managerial control or actively participate in the LLC. You would need to have a manager operating your LLC. Remember too that you get a deduction of one-half of your share of FICA taxes paid, so it’s really no different from being an employee when everything shakes out. In addition, your employer probably sets your salary level taking into consideration the employer’s share of FICA). Comments for How to classify myself under an llc so that at the end of the year I dont pay FICA on my divdends? Do/should FICA taxes be paid quarterly? I’m a partner in a small LLC startup. It’s always been my understanding that I pay taxes on LLC profits at the year’s end based on my K-1. Does that apply to FICA as well? Do You Need To Include “LLC” In Your Logo And Advertisements? Do you need to include “LLC” in your logo and advertisements as long as it is included in the legal name of the company? No. The letters “LLC” or Limited Liability Company are not required to be in your logo or even on your business cards. Is it a good idea to include it? Yes, usually. 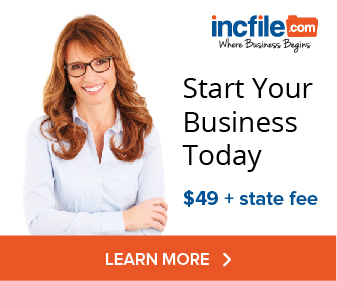 Having the LLC show up on the marketing materials make your business look more credible. The issue is that most people don’t like the look of LLC or Limited Liability Company on their marketing materials. Some attorneys will strongly encourage a company to use the LLC designation on all materials. If that is the case and you want to be safe, you can choose to register a DBA (doing business as) which is sometimes known as a fictitious business name or assumed name. Sole proprietors or partnerships are commonly required to register a DBA if their business name is different from their full first and last name. Then you have officially registered the use of the company name without the LLC. Usually, the cost to do this is under $100 and typically a one-time fee. Even if you aren’t required to use it, I would ensure that all your legal documents–meaning contracts, leases, purchase orders, etc.–use your full LLC’s legal name and that you sign any documents in your capacity as a member of the LLC and not personally. In other words, you should sign as “Jenny Smith, Member XYZ, LLC.” and not merely as “Jenny Smith”. How Do We Pay Out Distributions To Members? In an operating agreement for an LLC do you have to spell out exactly how and when the distributions to members are paid out or do you have to pay out your profits as they are incurred? Example: Can I state in my operating agreement that I will pay out a certain dollar amount per month, starting on a particular date (i.e. beginning in year 3) until the member’s entire investment has been repaid plus an additional dollar amount (say double what they have paid in) and then can I make a particular date and a particular dollar amount to buy them out? This way I know my exact cash flow to investors. I understand that they will pay taxes on the profits of the business, but is that regardless of how much I actually distribute to them (I do know that they won’t pay taxes on return of contribution or basis) or do I need to pay them consistent with the profits of the company in addition to their return of contribution? Thanks for this forum, these are burning questions. You can (and should) definitely spell out in exacting detail in your Operating Agreement how the LLC members will be paid. Also, a Limited Liability Company that is taxed as a partnership is permitted to distribute cash ‘unevenly’ (an amount disproportionate to the member’s ownership interest). Remember that a member of a pass-through entity does not pay taxes based on money distributed to them, but on their proportionate share (known as pro-rata share) of the LLC’s profits or losses. An LLC is permitted to distribute losses differently among the members –e.g. a member with a 1% interest can take 90% of the tax losses in a particular year. This can be spelled out in your LLC operating agreement. Similar to a single-member LLC, a multi-member LLC that is taxed as a partnership or S corporation, does not pay taxes on net income. Instead of the entity paying taxes, the pass-through taxation is reported on each member’s IRS K-1 form. The amount on the K-1 can be the same or different from the amount distributed. You can distribute money to investors even if you don’t have profits (or, conversely, you can distribute less than the full amount of profits). These payments can be characterized as interest on a loan, or as guaranteed payments. Once you get multiple classes of members, with different allocations of profits and distributions, you really ought to get the advice of an attorney or accountant. These are not the type of operating agreements to draft on a napkin after reading something on the internet. In a LLC structure, is there a difference between being called or titled a Managing Member vs being titled or called Member? All Managing Members are Members, but not all Members are Managing Members. Managing Members are those specifically able to bind the Limited Liability Company contractually. In the legal world, they have “actual authority” to contract on the LLC’s behalf. Members may or may not be able to bind the LLC contractually, and doctrines like “apparent authority” and “actual authority” come into play. If the member is authorized as an agent to execute contracts on behalf of the LLC, the member is said to have actual authority. However, a member who does not have actual authority can nonetheless bind the LLC if that member has apparent authority. The Managing Members should be the people who are transacting the business of the LLC and should be thought of like the executives of the LLC as they are actively involved with day-to-day operations. Not all LLCs will have a Managing Member. Another aspect of being a Managing Member vs a Member is the extent of fiduciary duties. Depending on how the operating agreement is written, a Managing Member may have more responsibilities (and possibly liability) than just being a Member. This can vary by state too, so be sure to verify.